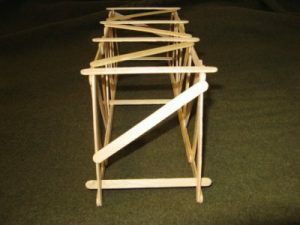 This is a popsicle stick bridge I built using the Pratt Truss design. This bridge is 13.5 inches long, 4 inches tall, and 3.75 inches wide. 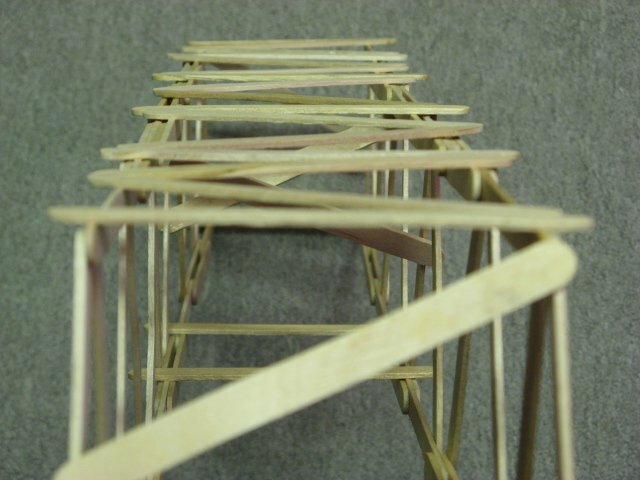 This bridge weighed about 70 grams and held 73 pounds before breaking. I used 46 popsicle sticks to build this bridge. That gives it an efficiency score of 474. 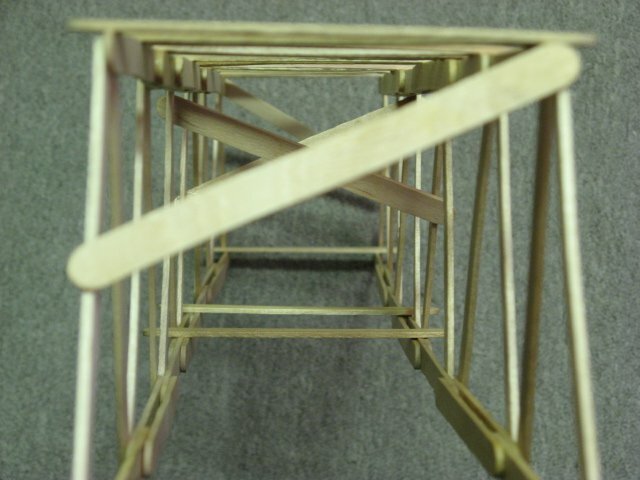 The last picture shows the truss analysis from the John Hopkins Bridge Designer program. If you watch the movie, you will notice that the front left corner and the back right corner started to bend a lot right before the bridge failed. The truss diagram shows that these popsicle sticks had the most weight on them, which probably contributed to their bending. To improve this design, I will double up the last diagonal popsicle sticks to account for the extra amount of force they have to withstand. 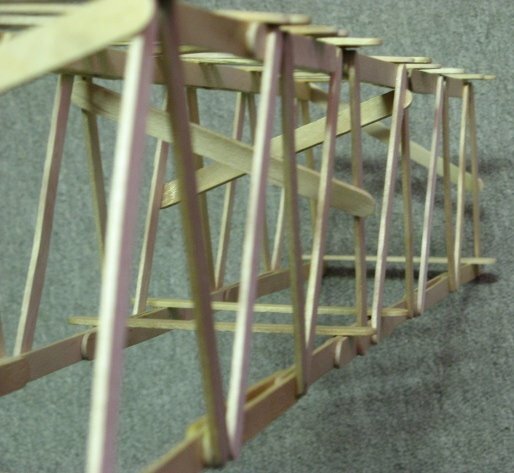 Also, the movie shows that the lateral bracing popped off right before the bridge broke. The bridge had been slowly leaning towards the left. 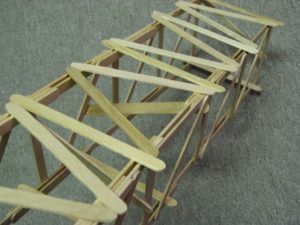 I wonder if my standard method of just having one angled popsicle stick glued on each end for lateral bracing is sufficient. I think that having a full X pattern would be better. I will also make this change and see how it affects the strength of the bridge. What did you use to hold the popsicle sticks together ?